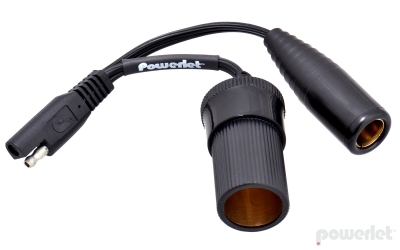 Convert one cigarette socket & one Powerlet® (BMW type) socket. Good for cell phones, radar detectors, heated vests & GPS units. 6" long.